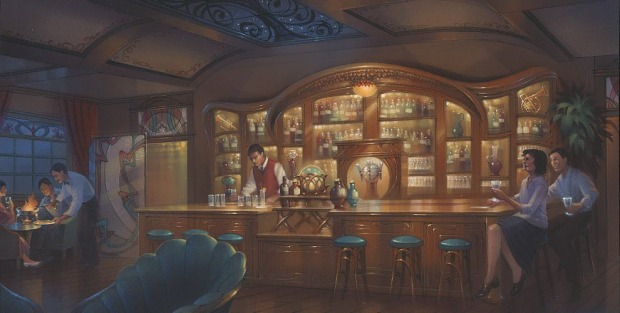 This week we discuss the recently redesigned Club 33 and the exclusive 1901 Club in Disney California Adventure. Highlights include discussions of food, drinks, decor, and the beautiful new lounge above New Orleans Square. This new Club 33 is a big change from the old club as it closed the Trophy Room and Court of Angles. 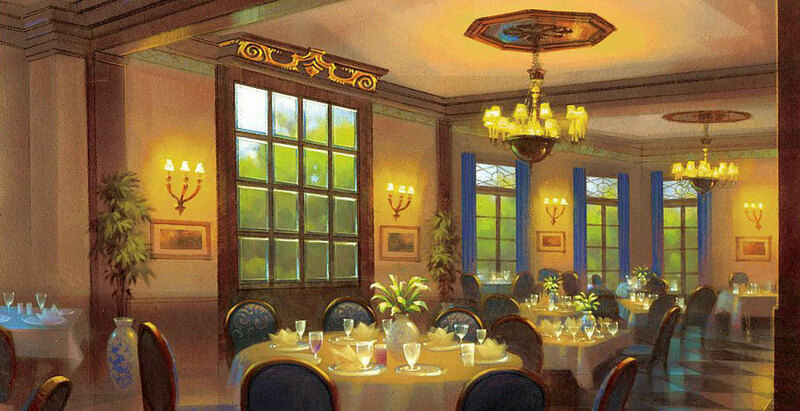 See all of our previous Club 33 coverage here for info on all of the changes. For photos of the new Club 33 click here. 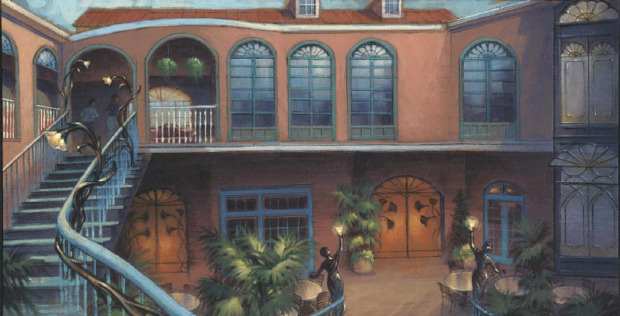 The concept art below was given out to Club 33 members on post cards after they visited the preview center for the new club. 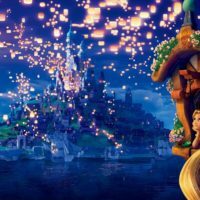 Are you interested in Disneyland secrets? Well then you need to check out our new eBook Disneyland Secrets: Grand Tour of Disneyland’s Hidden Details. Each week we present a new secret from the book during the podcast. Did you know that there is a Lego Captain Jack Sparrow hidden inside of Pirates of the Caribbean? 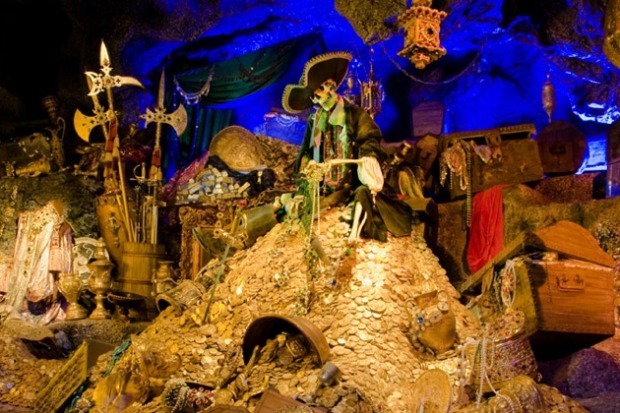 Inside of the main treasure room, look for a little Captain Jack Sparrow sitting on top of a treasure chest. Once you find this little Lego piece you will never un see this figure. 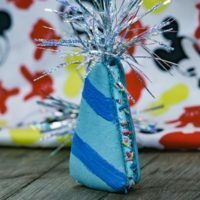 Magic Bands Episode– Our discussion of WDW Magic Bands with Shannon Alberts of WDW Prep School. Club 33 has the first MagicBand technology on the West Coast. 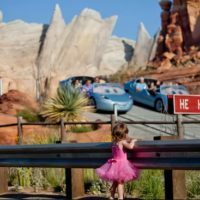 Disney Dose Instagram– We mentioned many pictures from our Instagram during this week’s episode. Be sure to follow us. Each episode of the podcast is produced for you–the Disney enthusiast! Thanks for listening. Please leave us a review on iTunes with all of your comments about the show. What would you like to hear about on the podcast next? Thanks to everyone who has already written a review. Listen to the show on iTunes and Stitcher. You can find out more about the Disney Dose podcast on our Disney Dose podcast page.